Background image courtesy of AFP Photo, modified by me. Click image to enlarge. Thousands of Turkish troops have invaded northern Syria to eradicate so-called Kurdish ‘terrorists’. The mission is officially (and ironically) named Operation Olive Branch. 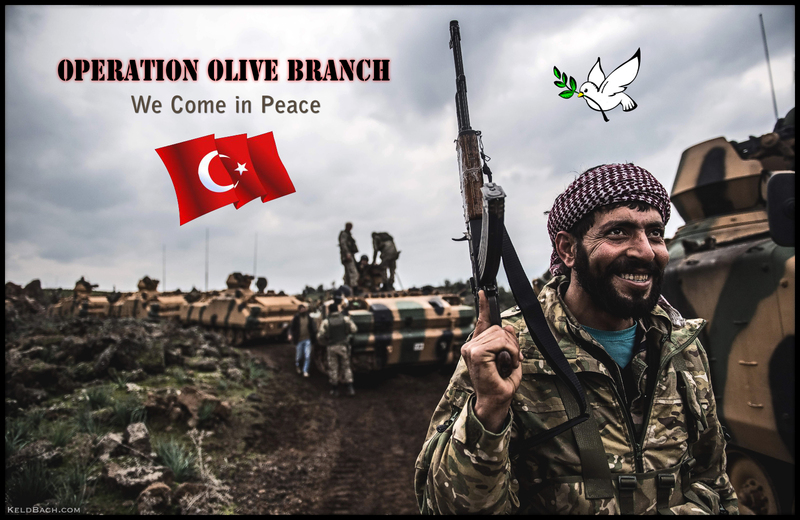 This entry was posted in Imperialism & Colonialism, Photography & Art, War & Terror and tagged Kurds, Operation Olive Branch, Syria, Turkey. Bookmark the permalink.